"The location is great, just around the corner from the Puert..."
Have a question for Sunlight Guest Hotel? 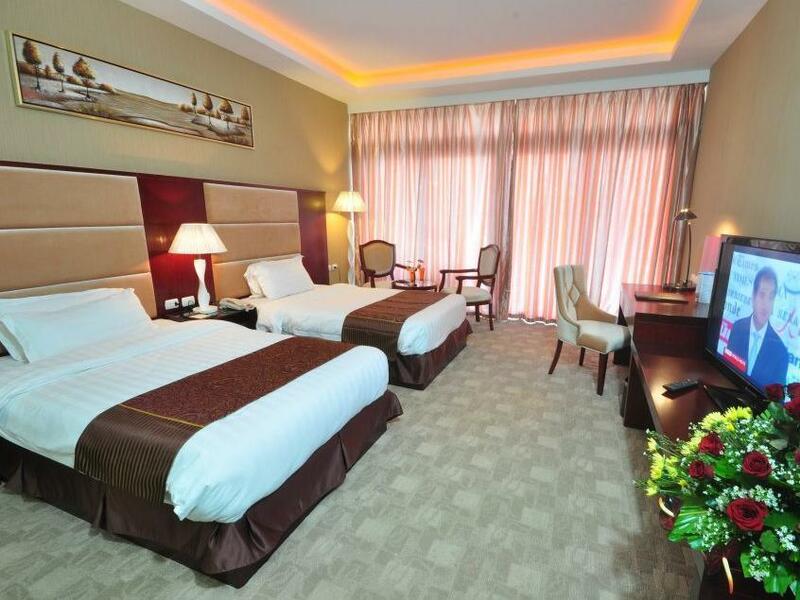 "We had a great time staying at Sunlight Guest Hotel." "***** very good gym ***** value of money ***** service of staffs." "Bed and pillow was very very comfortable, always have a good..."
Sunlight Guest Hotel, located in Puerto Princesa, Palawan, is a popular choice for travelers. From here, guests can enjoy easy access to all that the lively city has to offer. 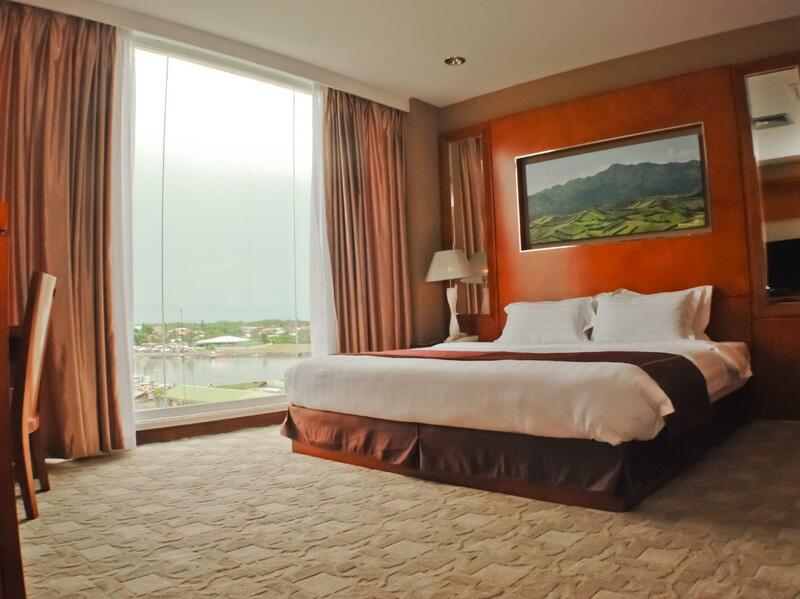 This modern hotel is in the vicinity of popular city attractions such as Rizal avenue, Palawan Museum, Mendoza Park. Take advantage of a wealth of unrivaled services and amenities at this Palawan hotel. While lodging at this wonderful property, guests can enjoy free Wi-Fi in all rooms, 24-hour front desk, facilities for disabled guests, Wi-Fi in public areas, car park. Step into one of 74 inviting rooms and escape the stresses of the day with a wide range of amenities such as television LCD/plasma screen, internet access – wireless, internet access – wireless (complimentary), non smoking rooms, air conditioning which can be found in some rooms. Besides, the hotel's host of recreational offerings ensures you have plenty to do during your stay. 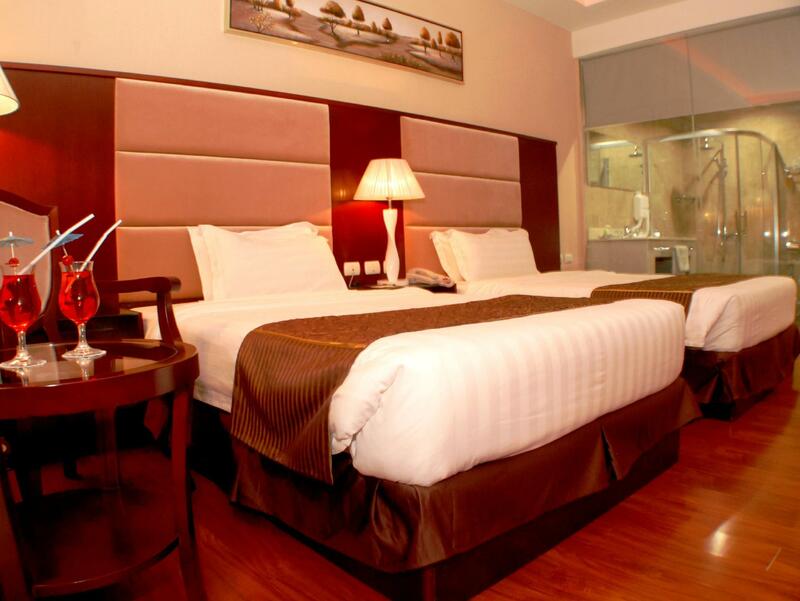 Sunlight Guest Hotel is your one-stop destination for quality hotel accommodations in Palawan. "Staff are accommodating and hepful." Airport transfer is available from 06:00 AM to 08:00 PM. In order to reserve the transfer, please inform the property of your arrival details upon completing the booking. I had a nice stay in a room with a balcony with bay view. The room is nice and clean, the staff really helpful and it has a central location in Puerto Princesa. Very convenient location, good dining experience in the hotel. The staff are absolutely amazing, extremely friendly and very helpful, they definitely made the stay a great one!! 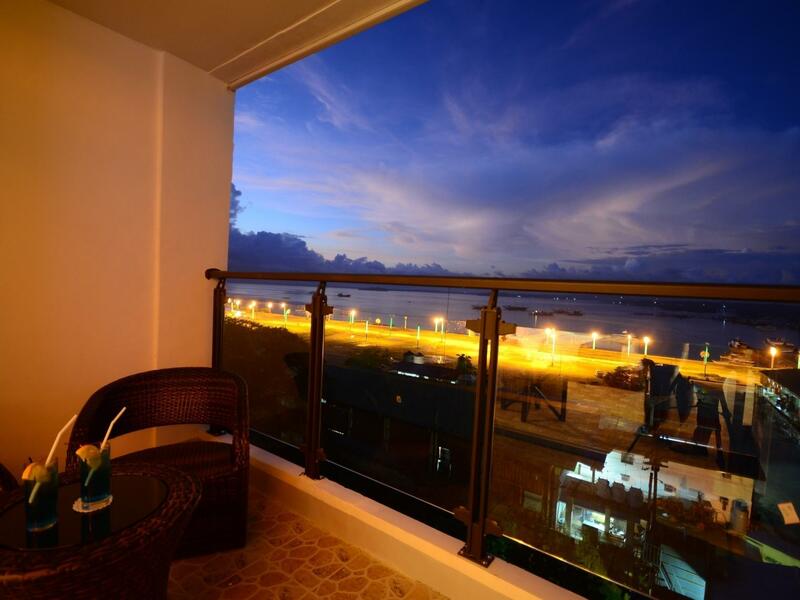 The location is great, just around the corner from the Puerto Princesa baywalk and down the road from the SM Mall. All of the staff are very nice and attentive and there wasn’t anything that was too much hassle for them. A great bonus was the complimentary airport transfer to and from the hotel.. the other thing that we loved about his hotel was the fact they provided a packed breakfast (sandwich) when we left at 5am in the morning- this was not asked for and they purely did this for our comfort! Thank you Sunlight Guest Hotel for a pleasurable stay! The hotel is very outdated and smells like an old hotel. Just entering the hotel is chaotic. The mall right next door has a loud speaker with electronic music palying outside, not sure why. And it's right in the center of the outdoor markets, if you like them. The room has a windows, which consisted of a glass window that opened up to an interal hallway of the hotel. It's very dark in the room and feels like your excluded from the outside. The breakfast was okay. I only had an omelet because nothing else looked appetizing. We had lunch there one time at Casa Ricardos and it took forever to get our food even though we we pretty much the only ones there. The wifi was in and out throughout the day and had to call different times throughout our 3 day stay to restart the network in our room. The location was a 5-6 minute walk to SM (mall) which was comfortable place for us to have our meals. There is a safe, hot water, and kettle in the room. But wouldn't recomend this hotel at all!!! Location was at the center of the town. We were just 5 minutes away from the Baywalk which is also a great place. Staff were very friendly and accommodating. We had a complimentary ride to the airport which was a hassle free. The only thing though, wish our room had a window. Location is good, about 5mins walk from SM. Hotel is in front of market so it is a busy street. Food, it comes with 2 bfast buffet, food is okay. Staff, nice but could be trained how to handle several clients coming in with different concerns. Price point, we got it on promo so not really sure Rooms are clean and spacious but a bit on "older" side of things, design-wise Ambiance, there was a construction going on one floor below (although noise if any, didnt reach our room) and like what i have said, there's a market just in front of it so i didnt really expect it to be a quiet stay. Overall it was a good stay. For the price you honestly can't beat it! However, there were some cons but it wasn't such a big deal. There was a small black out that lasted about 2-3minutes. The room is very dark and it used to be a mall which kind of spooked me out. But, the service was great, our hotel room would be considered a 5 star back home. The buffet breakfast was amazing. On top of that, you get a free ride to the airport at selected times. I will definitely come back!! There a smell at the lobby area at times, however it beyond hotel control, the smell seems coming from the port area. the rooms are big and food is nice. The hotel is clean, staff very friendly. The only strange thing is you cannot have a glass of wine with dinner in the buffet, and you can't take the dinner upstairs on the rooftop balcony, where you can have a glass of wine. It's a great location. Staff very nice , location near to shops and restauranrs and SM mall and bay walk , room is nice with balcony , breakfast mostly local and need to improve it to be more intercontinental ,i could jusĺt have salad and fruits , smell in the hotel is not nice and need to be improved. Everything good about this hotel only problem is, the bfast almost same they serve daily for there buffet, and the smell from the kitchen for what the food they cook is coming on outside and we can smell when we come out from the room. there was hotel shuttle from the airport. the driver gave us a ride even if we were not in his list… location is convenient, as the hotel is just above a supermarket, in a commercial area and just less than one US dollar (40 pesos) away from restaurants and pearl shops. we had a view of the lake. staff were helpful. toiletries, even house sleepers, were provided. however, there were only two bath towels, no face or hand towel. there was also no bathroom rug. while we had a pleasant stay, i'll try to get another hotel next time. I didn't expect much from this hotel as the price I was paying was cheaper than a three star hotel. But from the moment I walked in I felt like I was in a five star hotel. My bags were collected before I asked, they welcomed me by name, as the staff were showing me to my room, they showed me where the restaurant was, and with perfect timing the door opened offering us welcoming drinks. The room was perfect. I only wish my stay here was longer.